Accountability is an inherent challenge of ensuring positive far-reaching outcomes for the CMO role. 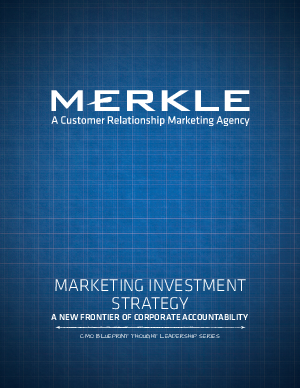 Marketing accountability is the new frontier of corporate accountability. The bottom line is ROI. Today we can accurately measure the response for the individual tactics of a direct marketing campaign. But at issue is the understanding of measurement at different levels - the ability to assign cause and effect across all marketing touchpoints, and the skills to decipher those results to make resource allocation decisions that lead to everyday improvements. Through the use of technology and analytics, we now have the ability to more accurately capture and measure the success of our marketing tactics. Measuring in silos gets in the way of making a holistic and accurate assessment of programs and campaigns. Costs and effectiveness vary significantly among different customer interactions so the allocation of budget across multiple touchpoints is a significant decision. It is essential to utilize the learnings from media and channel attribution studies to make optimal allocation decisions.